Top and side view of the chain coral Quepora huronensis from the Louisville Limestone. Collected by R. Todd Hendricks from the Louisville Limestone in the Louisville area, and loaned to the Kentucky Geological Survey for display in the KGS lobby. Scale in centimeters. Quepora is a type of tabulate coral, informally called a chain coral. Many people who collect fossils assume that all chain corals are Halysites, which is a common misconception. Halysites is the most frequently pictured genus of a chain coral in fossil identification books. There are, however, many different types of chain corals, including Quepora. 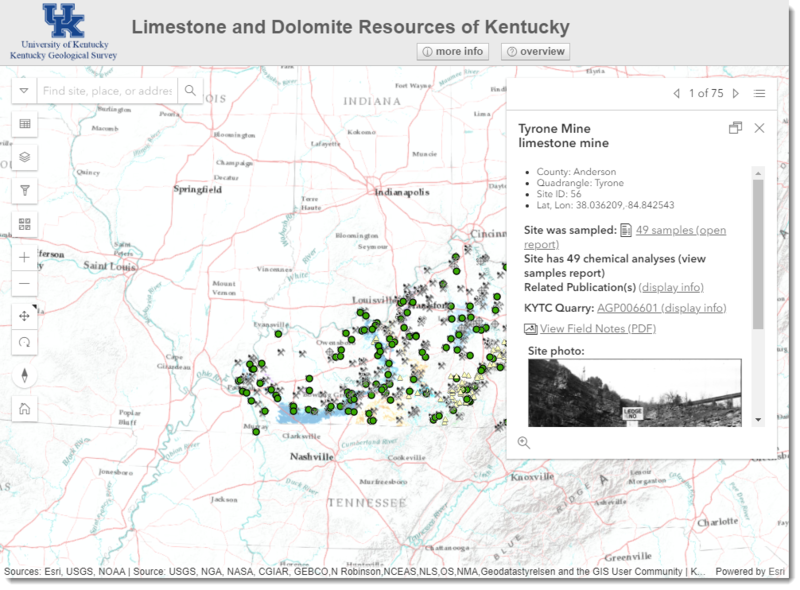 In Kentucky, four different genera and at least seven species of chain corals have been identified from the Silurian Louisville Limestone, Brassfield Dolomite, and Bisher Dolomite (see the KGS website). The differences between chain-coral genera and species are subtle. Many features used to distinguish genera (and especially species) are frequently less than 1 millimeter in width, so require good specimens and a good eye or magnifying glass. Weathering of fossils, dolomitization, and silicification can smooth or obliterate the smaller features, which complicates identification. In Kentucky, chain-coral fossils are commonly silicified or dolomitized, which makes it difficult to see if a specimen has the intervening tubes (called coenenchyme) between major corallites, which are the first-level criteria for determining if a chain coral may be Halysites or Cystihalysites, or is Catenipora or Quepora. In practice, a secondary criteria, the shape of lacunae (the gaps between corallite chains) are sometimes used to determine genera in the field. Specimens with mostly polygonal lacunae and elongated loops (especially contorted loops) are usually identified as Halysites sp. (although they can also be Catenipora sp.). Specimens dominated by mostly circular to elliptical (not contorted) lacunae are probably Quepora sp. Long chains which don’t often split or rejoin may be Cystihalysites sp. 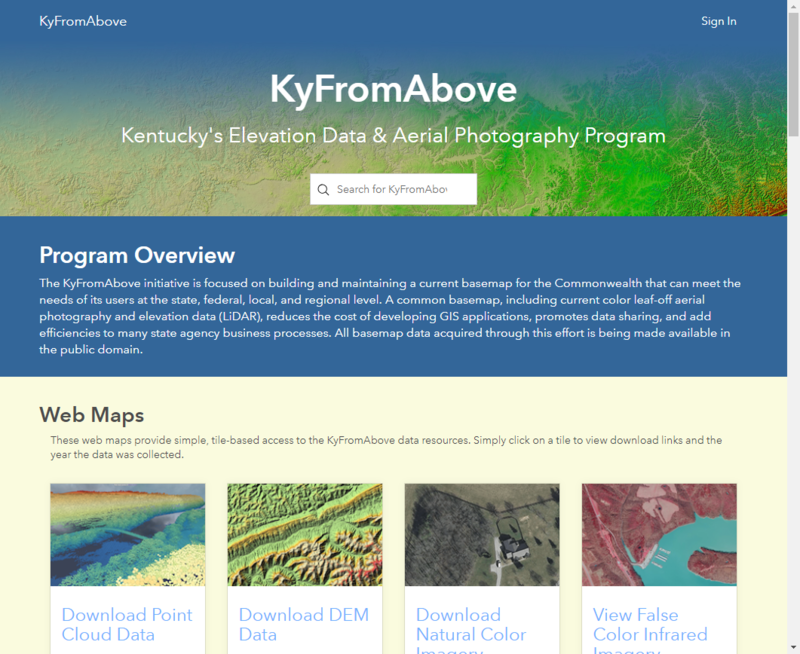 To learn more about chain corals and criteria for accurately identifying them in Kentucky, see the KGS fossil coral pages. Comparison of three species of chain corals found in the Louisville Limestone to show similarities in overall appearance, and subtle differences in details of structures. Images from Stumm (1964, plate 80, Figs 1, 4, and 8), with permission of the Geological Society of America. Halysites occidens was originally called Halysites louisvillensis by Stumm (1964), but was subsequently placed in synonymy with Halysites occidens by Young and Noble (1987). Quepora and other chain corals are mostly restricted to the Silurian Period in Kentucky, so are good field indicators of Silurian strata. An exception is rare eroded fragments of chain corals found in the basal Devonian Jeffersonville Limestone, where they were reworked from erosion of the underlying Silurian Louisville Limestone. Globally, Quepora has also been found in Upper Ordovician strata (Hill, 1981), but to date, none have been reported from the Upper Ordovician strata of Kentucky. Hill, D., 1981, Part F–Coelenterata–Supplement 1-Rugosa and Tabulata, in Teichurt, C., ed., Treatise of Invertebrate Paleontology: Geological Society of America and University of Kansas Press, two volumes, 762 p.
Stumm, E.C., 1964, Silurian and Devonian corals of the Falls of the Ohio: Geological Society of America Memoirs, v. 93, 184 p.
Young, G.A. and Noble, J.P.A., 1987, The Llandovery—Wenlock Halysitidae from New Brunswick, Canada: Journal of Paleontology, v. 61, no. 6, p.1125–1147.